$70 for up to 5 tickets. Use the promo code SHIP when purchasing your tickets. 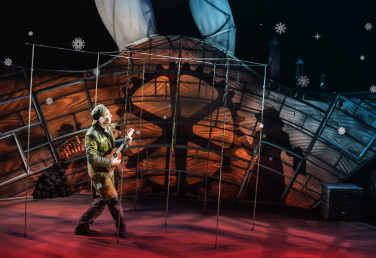 A giant art work of a play with 100 moving parts that will engage you like no other show… Animated effects every 30 seconds... Steampunk finesse… Whimsical, dramatic and heartfelt… This is the new Imago and they are at their best! “Masterpiece..Alluring!.. a complexity that engages adults but just the sort of magic and suspended reality that appeals to little ones. This holiday performance season, make sure La Belle is on your can’t-miss list! 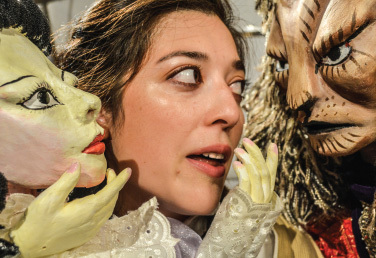 “Imago’s La Belle is a creature of a rare and wonderful sort, a show you may well want to see over and over again, both to marvel at its graceful mechanics and to soak in its symbolic resonances about the human, animal and spiritual in us all…. with a tone that’s often whimsical but never cutesy, finding that sweet spot of family entertainment that’s really for the adults, even if the kids are so enthralled that they won’t notice.